Is this Pandora's Last Dance? Wall Street's playlist for Pandora might consist of the following tunes: "Sad Songs (Say So Much)" by Elton John, "Hurt" (either the Nine Inch Nails or Johnny Cash version) and "Fade to Black" by Metallica. Pandora's stock has fallen nearly 6% so far this week and investors seem to be nervous that Apple's new music subscription service could steal away Pandora (P)customers. The maker of iEverything unveiled Apple Music on Monday at its Worldwide Developers Conference. Apple Music will cost $9.99 a month, but Apple is offering a free trial for three months. Apple didn't mention Pandora by name on Monday but it appeared to take some jabs at the way the company programs its stations. Apple executives, most notably Beats co-founder Jimmy Iovine, talked about how music was more about a human touch than algorithms. Pandora CFO Mike Herring disputed the notion that the company's service is just about a bunch of bots. "Humans are extremely important to the personalized experience Pandora provides," he said in an e-mail. He added that the company has a team of more than 80 analysts, curators and scientists with a musical background. "This team, combined with our technology, helps Pandora deliver a simple, personalized music experience that is unparalleled," he said. So will Pandora really get crushed by Apple? We've been here before. Pandora has survived previous threats from Apple. Remember Ping? Probably not. But that was Apple's first attempt to do more with iTunes than just sell songs and albums. Apple launched it in 2010 as a way for iTunes users to see what friends were listening to and recommend music. It was sort of like a Facebook (FB)for music. But it flopped. And Pandora continued to add more users. Apple also unveiled iTunes Radio at the 2013 WWDC. That was also viewed as a legitimate rival to Pandora. It didn't really take off either. Investors may be worried that the third time will be the charm for Apple. And that makes sense. Apple Music is far more comprehensive than Ping and iTunes Radio. And the free trial is a smart move. Martin Pyykkonen, an analyst with Rosenblatt Securities, wrote on Tuesday that he thinks the launch of Apple Music later this month could lead to a drop in the amount of time Pandora users spend listening to music during the third quarter. But it may just be temporary. "We think it's natural for consumers to at least test the new Apple Music service. We saw this when iTunes Radio initially launched, but then subsequently Pandora's usage rebounded," he wrote, adding that he is keeping his buy rating on the stock. Pandora's Herring doesn't seem too concerned either. "We're confident in our position and we expect to see our business continue to grow. Apple's investment in this category reinforces our long-held belief that there is healthy consumer demand for streaming music services," he said. Still, Apple may be the least of Pandora's worries. The company faces challenges in streaming music from other big tech firms such as Google (GOOGL) and Amazon (AMZN). Radio giant iHeartMedia (IHRT), formerly known as Clear Channel, is boosting its digital presence as well. Satellite king Sirius XM (SIRI) is a competitor as well, especially in the car market. And of course, there's Spotify. Privately held Spotify just raised more money this week. Swedish telecom TeliaSonera confirmed Wednesday that it invested $115 million for a 1.4% stake in Spotify. And there are reports that Spotify raised a total of more than $500 million in its latest round -- at a valuation of about $8.5 billion. Pandora's market value is just $3.7 billion. Yes, Pandora and Spotify are fairly different. Pandora is really more like a radio station while Spotfiy lets you pick and choose specific songs, albums and artists. But Pandora should be concerned about Spotify's strong growth. Spotify also announced Wednesday that it now has more than 20 million paying subscribers -- up from 10 million a year ago -- and more than 75 million users. 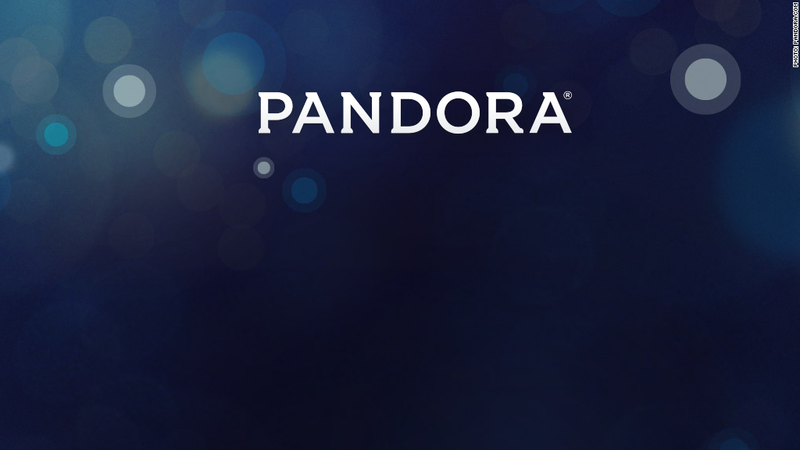 Pandora finished the first quarter with just 3.8 million paying subscribers and 79.2 million listeners. So Spotify could soon top Pandora in terms of total users. So forget all the talk about how Apple may shake up the music streaming business. It looks like Spotify is the one to watch -- at least it is the service with all the momentum right now.